I must say this has not been the case among students I’ve worked with. They write pieces that are frank, open, and often deal with issues of real stress and hardship, but they are always disciplined and thoughtful pieces of writing. 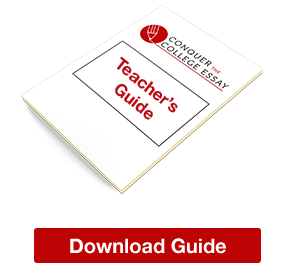 You have to understand that there is something basically confessional about the college admissions essay. And there’s no problem with that, as confessional writing is certainly a time-honored genre. If you understand as well that your essay has to follow a form, then that will help to ensure that your product will have the discipline necessary to allow others to enter into the reading experience. 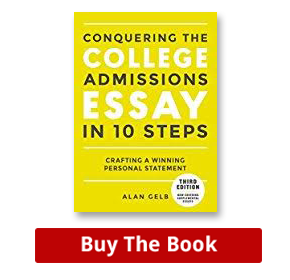 An understanding of the narrative form, as I lay it out in my book, Conquering the College Admissions Essay in 10 Steps, will help to keep you anchored. One aspect of the narrative form that is particularly important to understand is The Point. Why have you actually decided to tell this story? What are you and your reader meant to take away from it? If you can answer that question, then there is a good chance that you have not merely indulged in a sobfest or a desperate appeal for attention, but, rather, you have written something that somebody else will actually want to read. Interesting, I should say, but perplexing. I feel like I’ve lived in an alternate universe this year. Out of the 50+ students that we have worked with, two got into Yale, two into Brown, one into Harvard, four into Stanford, two into Cornell, five into University of Pennsylvania, three into Princeton, and so on. They were all great kids, but I didn’t think any of them were the Second Coming. So, as I’m wondering about this, I’m thinking that the one thing they all had in common was a darned good Common App essay. This makes me a little wistful on several accounts. For one thing, I remember how I, as a high school student, decades ago, had to study lists of obscure words, which today’s crop of students won’t have to be bothered with. Sure, I never used words like pusillanimous, penurious, virago, and uxurious very much (if at all), but I took a certain pride in knowing them. And there were many words I discovered and came to understand from that early learning experience that became part of me and that help make up my vocabulary today. When I work with students, I try to get them to understand that vocabulary is an important part of writing and that words like meticulous, fastidious, and punctilious are not interchangeable but that they all have their own nuances and connotations. In fact, any one of these words might be exactly what you’re looking for when you’re trying to express a specific thought or feeling in your writing. To read in the Times article that the College Board has come to the decision that the word vacated is “obscure” is, frankly, a bit depressing. I know, however, from my experience working with writers that they appreciate the precision that good writing demands and they come to value le mot juste, which means “the right word.” Gustav Flaubert, author of Madame Bovary, one of the greatest novels ever written, believed in the principle of finding “le mot juste,” which he considered as the key means to achieve quality in literary art, and he could take an entire week to find that word. It’s gratifying to me to see the level of dedication that so many of my students bring to their essays and how much they come to value the power of words. Raising the Stakes, But Not to Panic! In this article, it is soberingly revealed that Stanford only took 5% of applicants this year. They received 42,167 applications for the class of 2018 and sent 2,138 acceptance notices for a first-year class that will ultimately number about 1,700. These are statistics that might cause high-achieving students to simply throw up their hands in despair and defeat–but I say, Don’t! In fact, I didn’t see anything approaching gloom-and-d00m among the 50+ students I worked with this year. I am proud to report that three of our students were admitted to Stanford, as well as three into Princeton, two each into Yale, Harvard, Dartmouth, Brown, and Cornell, five into U of P, and so on. Magic? I hardly think so. These kids were all terrific. And they had terrific essays, I have to say. The overall point? Stop worrying so much, do your best, keep your head down, and there’s a very good chance you too can get good news around this time next year. I found the article especially interesting as I am currently working with a number of students who are coping with the University of Chicago’s quirky prompts (created by current students, no less). Now, my students are trying to tell jokes very seriously, some are contemplating the skill set of the mantis shrimp, and still others are comparing the proverbial apples and oranges. From time immemorial, the University of Chicago has been regarded as a bastion of industrial-grade intellectualism. Nobody went there who wasn’t ready to spout Schopenhauer. In recent years, I’ve noted with interest that a number of my students, who I suspect had never even heard of Schopenhauer and were–gulp!–even kind of jocks, were going there. This year, I find that everyone seems to be applying to Chicago, so obviously they have some marketing geniuses over there working their magic. However, these quirky prompts spell intellectual intimidation for many of my students, who are gnashing their teeth and tearing their hair but soldiering on. Some of these students have been looking for the “easier” of the prompts but I tell them that the whole point of this exercise is to show yourself as an intellectual daredevil and if you’re not ready to do that kind of skydiving then maybe you should look for another school. By design, such essays are meant to separate the wheat from the chaff. And so, this year, I have found myself applying a surcharge for these essays from Chicago as well as for some of the essays required by the more select UPenn programs. Such essays are just a lot of work, so be prepared! I’ve presented many times on CollegeWeekLive, the largest virtual college fair, and those who participate report a positive experience. I will be part of their Back to School event, which is being held on August 8th, 2:00PM-10:00PM EDT. This free online event is dedicated to helping you prepare for the coming year. 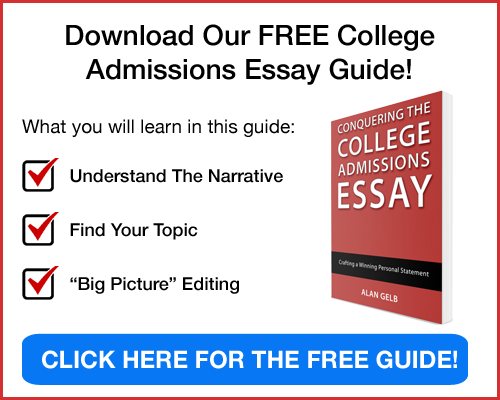 Login anytime during the hours above to check out live presentations on conquering the admissions essay (that’s me), succeeding in college, managing college stress, and much more. And enter to win a $2,500 College Scholarship from HP Academy. My interactive presentation, during which I will be taking questions from those who are logged in, will be at 5:00pm.